"The Master of Science in health care administration program at Point Park clearly prepared Adam to apply the following leadership principles to his practice: financial management, human resource management, community assessment, lean strategies and customer experience. This program was the perfect fit for Adam. It allowed him to be creative about the challenges in health care today, not only from a clinical aspect, but from a world health aspect. Adam has been identified as a future leader of our organization and I look forward to supporting him on his journey." "Earning a Master of Science degree in health care administration and management showed employers I had the tools to perform the job of clinical manager at a high level ... Graduate school was no easy task, but it has propelled me forward to this great career." How did your M.S. degree help with your recent promotion to clinical manager at UPMC Passavant? The education I received from Point Park University was in line with the required job duties of this position. Earning a Master of Science degree in health care administration and management showed employers I had the tools to perform the job of clinical manager at a high level. What factors made you choose our Master of Science in health care administration and management program? The biggest factor that made me choose this program was because it was fully online. This program gave me the opportunity to create a flexible schedule to help me balance a full-time job, school and daily life events. I am also very happy that this degree was tailored to health care. How did you balance working full time with graduate school? I hesitated with applying to this program due to the fear of not being able to balance work and school. I was completely wrong. Balancing school was easier than expected due to this program being online. What were your favorite classes in the program and why? My favorite class was Ethics in Health Care. In most of the classes, but especially this class, I learned from case studies and real-life events. I gained knowledge on how to deal with ethical issues. This has helped me with events I face in my job every day. 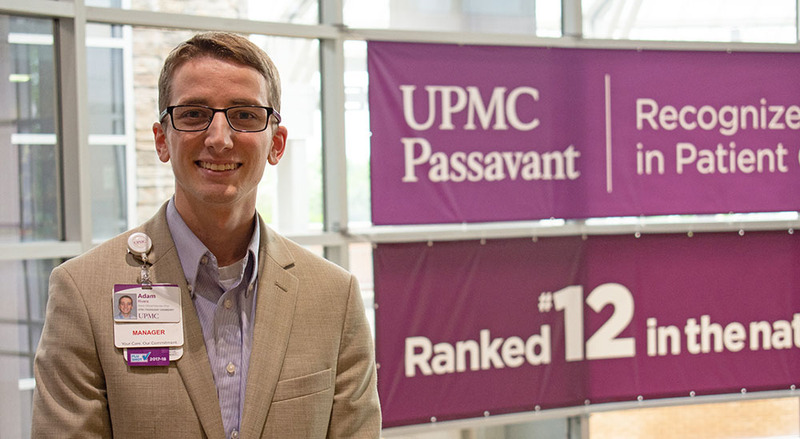 Currently, I am striving at UPMC Passavant to continue gaining the experience needed to grow professionally. Ultimately, I'd like become a hospital administrator. I would like to thank Point Park and its professors and staff for providing me with this great opportunity. Graduate school was no easy task, but it has propelled me forward to this great career.